Dean is an 18 years old student who is taking law study. He is just graduated from a senior boarding high school, so he is accustomed to live together and share anything he has with people near him. Crowd and noise are situations he really familiar to be live with. He has been living far from house since he was 6 years old. This peculiar boy lives in such a careless typical family, his mother and father are too busy to work and never realize that they have Dean to be taken care of. It makes him thinks that living in the house is like living in a small box where he can’t explore anything and cant to be explored by anyone. He always thinks hard to find his comfort zone, so he tries to meet some people then he can be explored by them. He is happy to be a useful person in his inner circle, he feels pleasure when everyone needs him to help them. It is such a joyful when he found himself in the crowd. But Dean is dissolved in his world, he forgets his study. Dean often absents in the class, it makes Dean’s relationship with his parents become worse. Dean’s looking for escape so he can cooling down from his family’s pressure. Traveling is the result he got. By traveling, he got any new experiences that sometimes make him think a lot about everything he has done and what to do to repair his study and his relationship with the parents. Kimmy and his dad stood on the edge of the shiny pavement, waiting the tolerance of passing car and truck drivers to let them cross the wet road. It was cold, and the air wasn’t really good for Kimmy’s little nose, but she was in the safest place she’d ever been. Her pink jacket and striped beanie would mean nothing if those strong, loving arms didn’t wrap her like her mother always did. Kimmy was the loudest girl today in the class, and maybe the happiest, because there was not a second that went by that she didn’t think of meeting the loveliest, the most caring and beautiful woman on earth. And to Miss Tia, today was special because the five-year old girl didn’t make other kids cry or screwed up her day—well, Miss Tia loves kids, but sometimes Kimmy was too much for a five-year old little girl. “Is her house far from here?” asked Kim. “I can’t wait to meet mommy!” Kim’s face showed the true happiness of a five-year old girl and in a second it destroyed something he just built in his chest. They hadn’t met Mrs. Hansen for almost one months—well, at least Kim hadn’t. He knew it felt like a year for his only daughter. “Me too, sweetheart. But we’re going to meet some new friends, and they live with her.” He really hoped his voice tone didn’t change. All Kim knew was her mother had something important to do far far away from home. “Yup, as you love her.” I hope, he thought. “It’s okay then.” Kim playfully touched her lips. 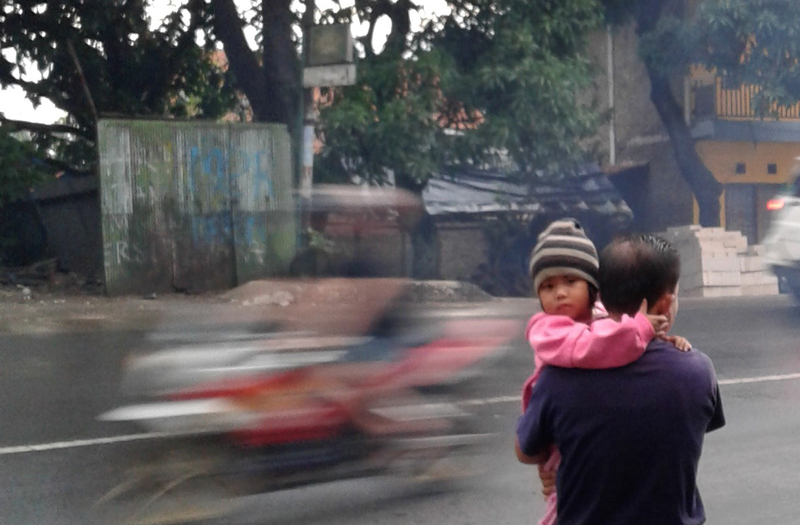 Just a few seconds later, holding her daughter, Mr. Hansen crossed the road as it was free from the vehicles. 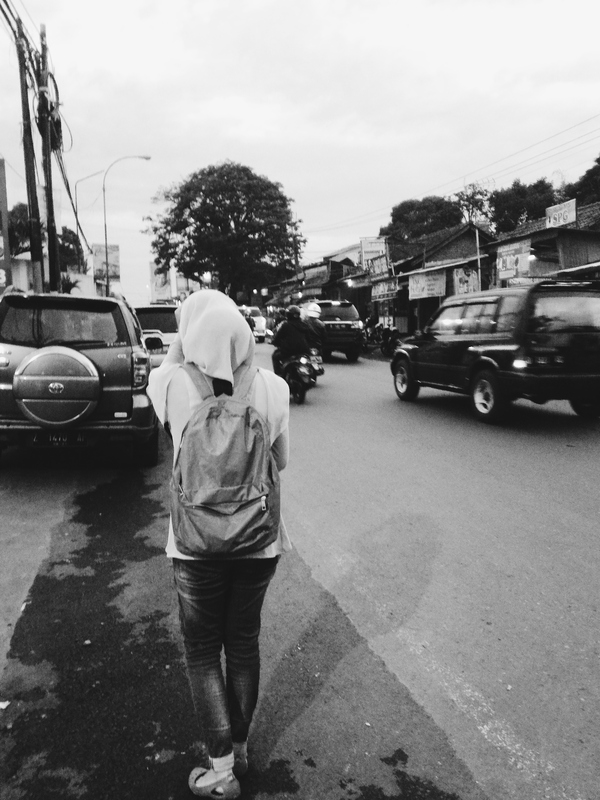 Walking under the dark cloudy sky this morning, he looks like he is not him, so slow like he is not moving but he is. His mind is full of questions of why. He was not think that this will even happen last night. He played that Dota 2 all night long last night. “This is a great chance to beat this guy. I will make this night as the worst he’s ever had,” said Dzikru, not inside his mind, instead he was screaming out loud, thinking who’s going to be disturbed, I am alone here in this house. Seriously hitted the keyboard so hard, nearly broken by his fingers. Looked at the bright display for hours, still trying. There were lots of screams, but the last one was the loudest, ‘Scream of Defeat’. He closed his eyes for seconds, scratched his head, made his black-short-thick hair looks messy so bad. Threw his body to the bed, realised it’s 5 a.m, office at 7 –those papers of work are waiting still, no sleep yet, damn. His eyes closed. As you guessed, late, he came late this morning, again, for more. Mr. Grey was on his highest disappointment to Dzikru. Fired. All this time, Dzikru has been a truly vigurous guy. Finished his bachelor degree through long difficulties for years. Stays on different island without parents. Working in his former office of national magazine was his dream. His only problem is that he has the night like it is morning. Spend it by playing his all time favorite game. He wasn’t played the game, the game played him. He is still walking. Crying. The year is 2020. The year when everything is on its place. In her 20s she got her Bachelor’s Degree, has a plan to buy her dream car, her modeling career is rising, not to mention how people starts to recognize her and treats her with so much love after her face is being featured on different high class magazines. The kind of love she never get before she entered the modeling world. It should be easy to smile and pretend everything is fine. She just needs to put on her killer smile and pose to the camera like she always does. She never encountered any difficulties when it comes to do photo shoots or walking on the runway, because giving her very 100% is a must. That should be easy. I love to be on the runway, she said. Just because she likes to be on the center of attention. I’d love to answer every questions the reporter asks me, she said. So she would have someone to talk to, even for just a minute or two. But the truth is, she just feels lonely and in needs for some kind of distractions. She has always wanted to run, run away and never come back. The time is 07.55. Great, now I am officially late for the class on the first session and I need to submit the assignment as well. I have to get going and run before I starts to make up some scenarios and conversations inside my head again. Ah, but the car have to be on dark blue colour. Well, for now the only option is a car with dark brown colour on it. Wait, I think I need to stop. He is painting seriously his own restaurant while there is someone playing his smartphone. It is his routine activity every two months. People always call him Mang Ucup though His real name is Yusup Supriyatna. He is 27 years old. 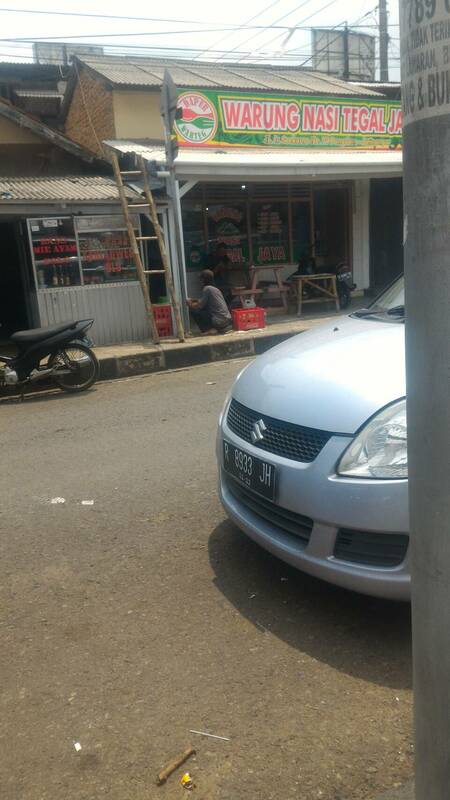 He is very kind and a hard work man, while his brother, Udin 25 years old, whose playing his smartphone when he’s working up painting the store is the contradiction of him. Even people named him the sloth. Mang ucup is a good role for the another business man, there are a lot of his business friend came over to his place only for asking some advices regarding their business, but people still cannot believe that his own brother has a bad personality. One day it’s unusually Mang ucup’s customer looking Mang Ucup with an angry face despite with his personality. He has a quarrel with his brother. 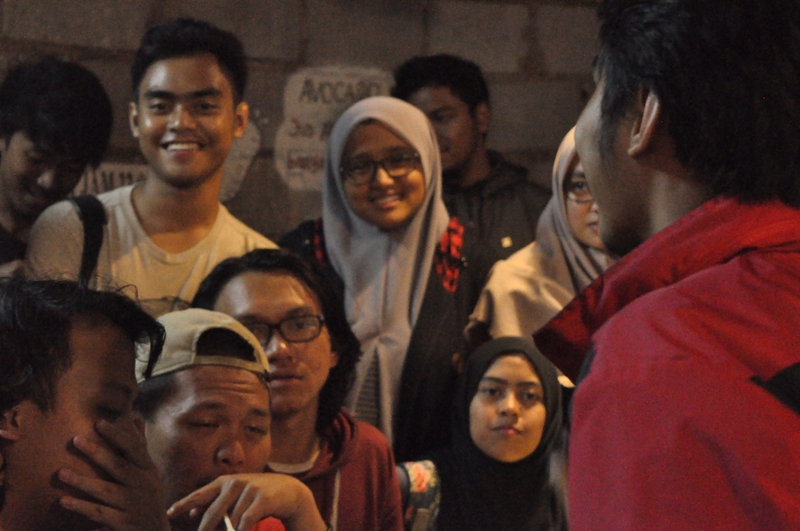 Mang ucup shouting “I’ve had enough with your behaviour, don’t you feels ashamed? People is always badmouthing you because your personality”. 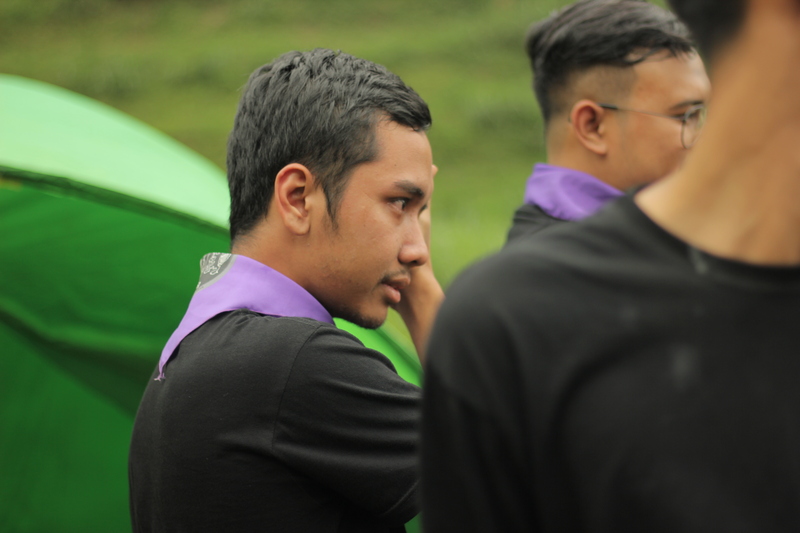 Mang ucup doesn’t have any choice but to make his brother become a good business partner. He couldn’t kick out his brother from this business because his business is a family business. After his father passed away Mang Ucup got a testament from his father, his father wanted his sons succeeding his business together. Mang Ucup has good relation upon his customers. He is being told by his Chinese customer that they are likes Yin and Yang, Mang ucup and his brother. Furthermore, Mang Ucup could not running the business by himself because the current business situation.